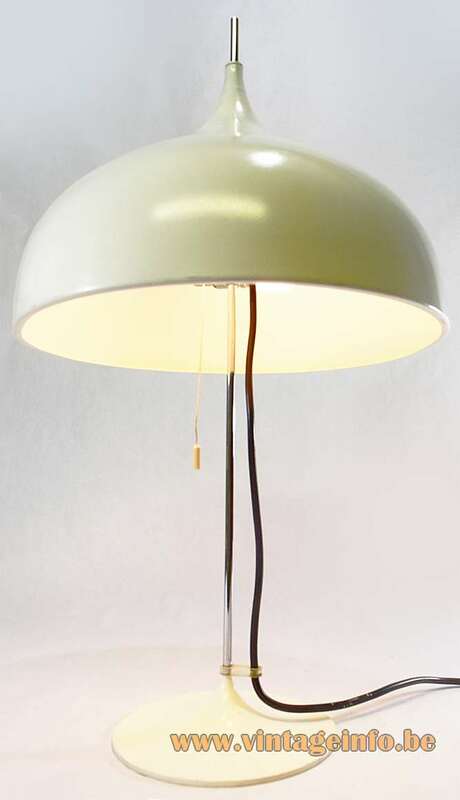 Materials: White painted aluminium lampshade. Chromed iron rod, white painted iron base. Some metal parts. Galvanized metal sockets. 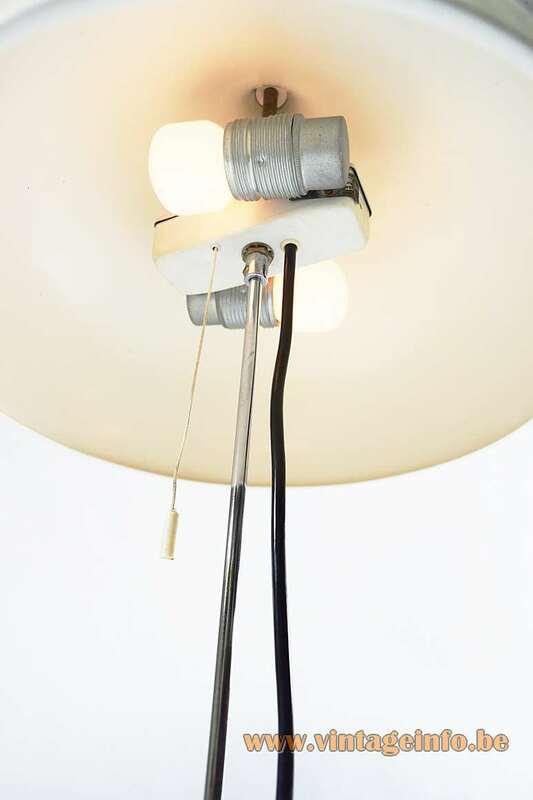 Other versions: Also made with a polished aluminium lampshade and also made in black. 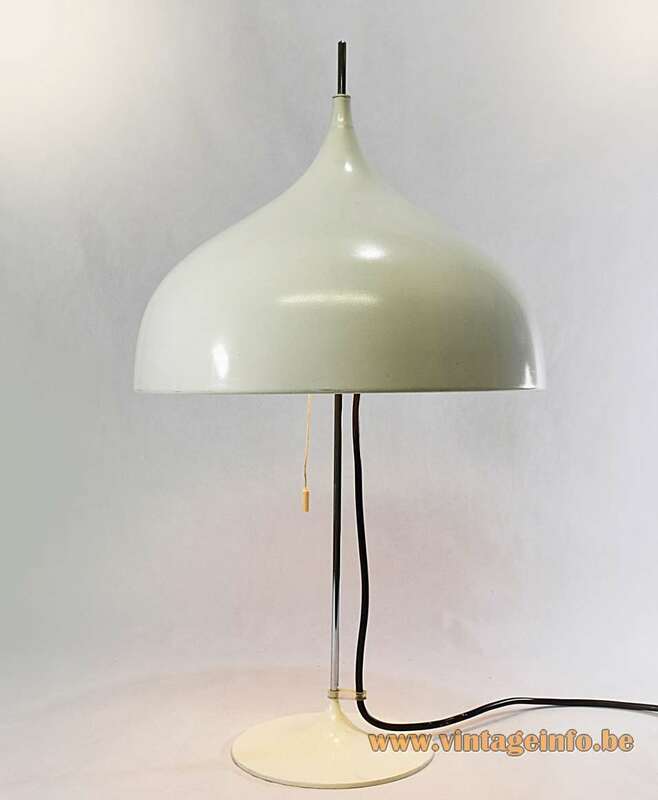 Exist as a floor lamp and a pendant lamp. These lamps are very rare and hard to find. The lampshade is adjustable in height. 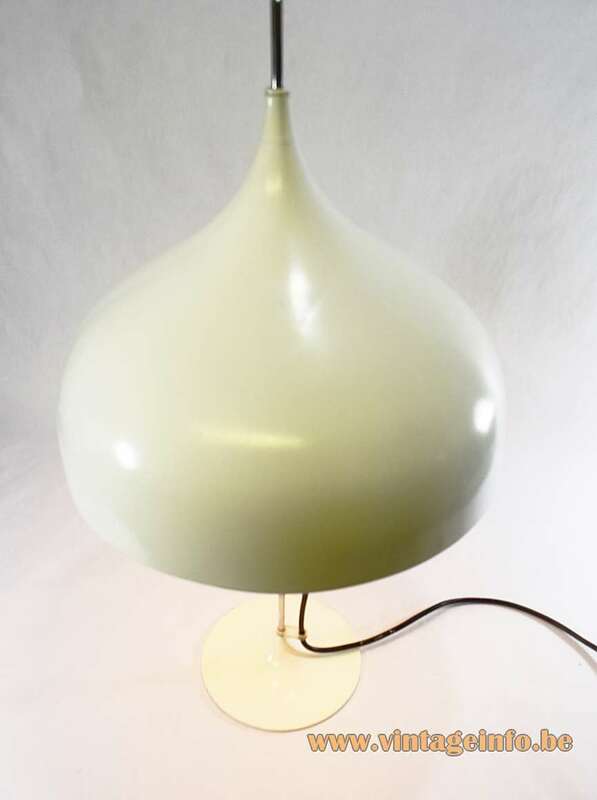 This lamp is model 1198. 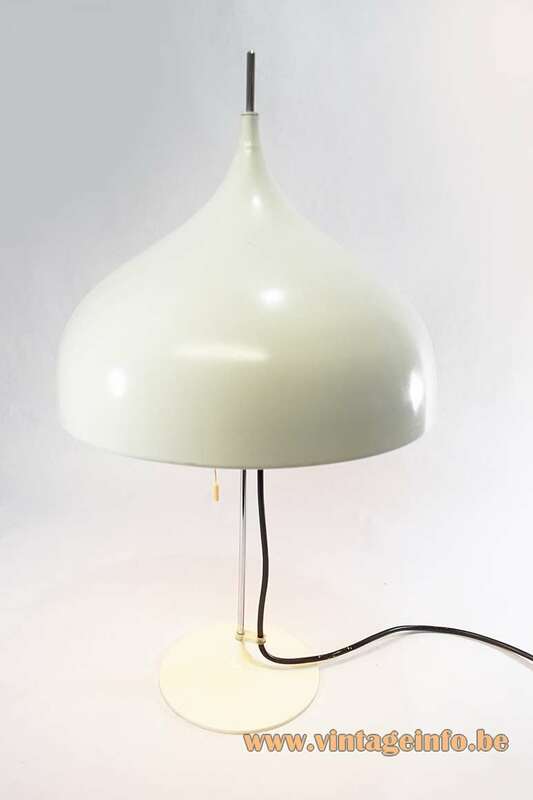 Pendant lamp model K 63150 received an iF Design Award in 1981. 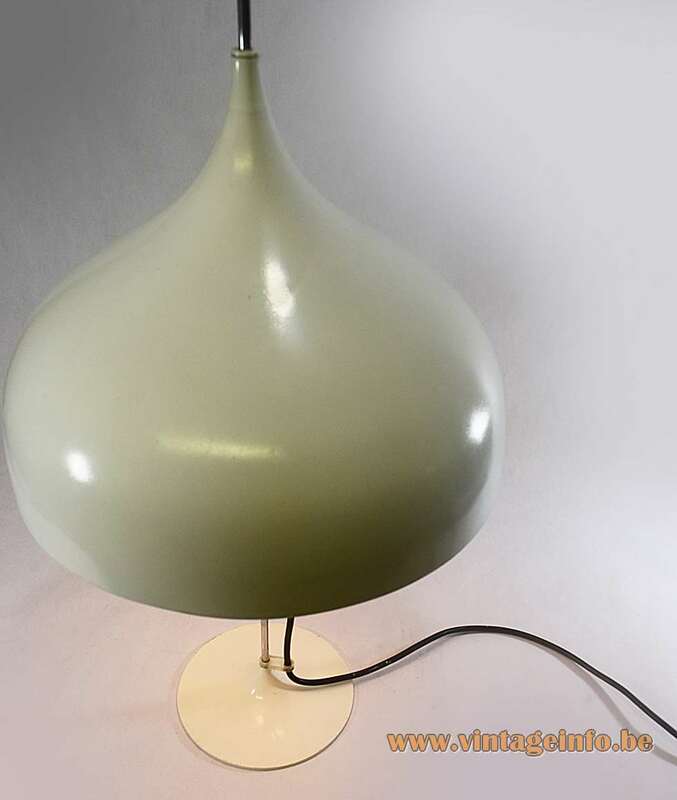 Klaus Slama designed several lamps for Doria. Unfortunately no information to be found about the designer. 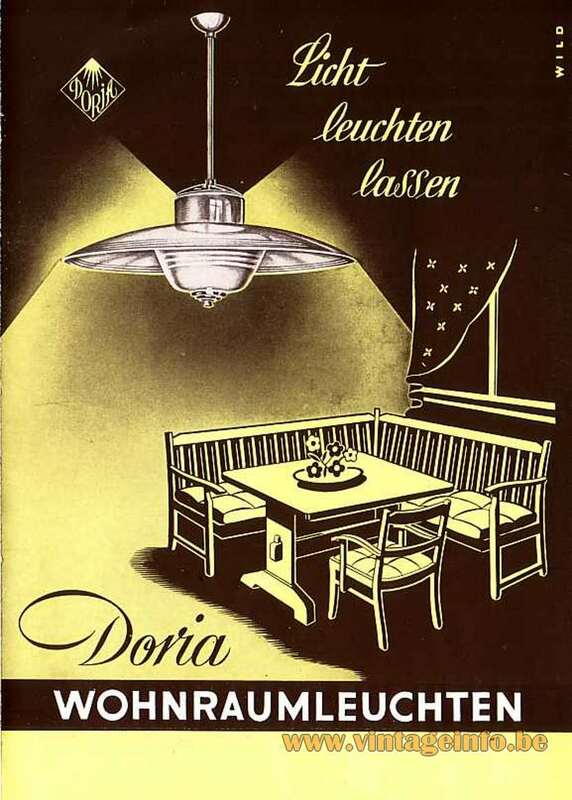 DORIA-WERK, DORIA-Werk – Beleuchtungsglas – Beleuchtungskörper or Doria-Werkstätten, Walter Donner GmbH & Co. KG was founded after the second World War in Fürth, near Nürnberg, Germany in 1948. The name changed over the years. The internal design team was named DORIA-Studio. The company is often named Doria Leuchten.